How does the heart respond when betrayed by God? Ashleigh Dougall has been betrayed not once, but twice, by the God she was taught to revere. Or has she? A heinous childhood secret haunts her, tormenting, holding her from the promise of love and happiness. The one chance she thought she had, suddenly gone, and without explanation. Has God betrayed her? Or has He made a way for a future of hope for her. Ashleigh returns home to England to escape the heartache of her broken engagement. How could she know the events that will unfold; sailing on the ill-fated Lusitania is but the first of life-altering events she will face in the coming weeks and months. Will Ashleigh come to accept the Father’s love? Will she bare her secrets to the man she comes to love – and who loves her? Will he accept her, knowing her soiled past? When Ashleigh and Sam boarded the ship, I felt I was along with them. 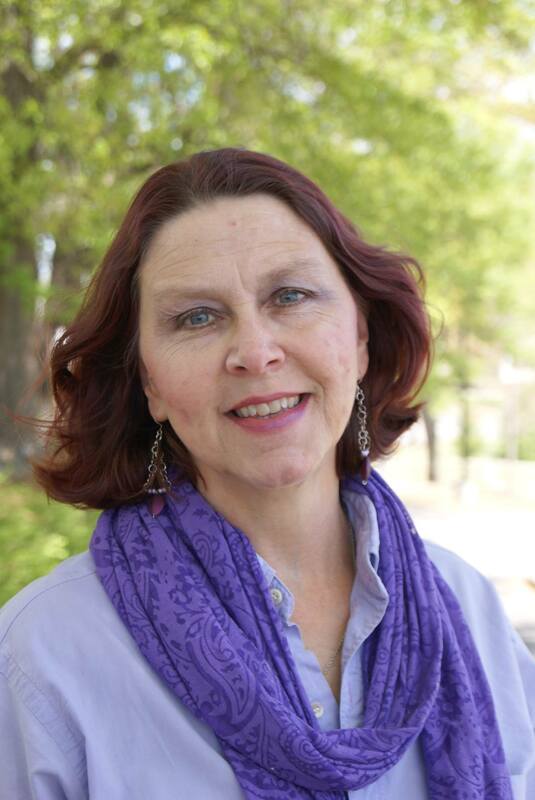 Ms. Basham has created characters with depth, whose lives are vivid and genuine. Ashleigh’s struggles run deep, and are not easily resolved. Conflict swirls on different levels: the war, within the family, at hospital, and in the village, and on both sides of the Atlantic. Ms. Basham deftly resolves each conflict, with real human emotion, and with real human triumph. Pepper D. Basham is an award-winning author who writes romance peppered with grace and humor. She’s a native of the Blue Ridge Mountains, a mom of five, a speech-language pathologist, and a lover of chocolate. She writes a variety of genres, but enjoys sprinkling her native culture of Appalachia in them all. 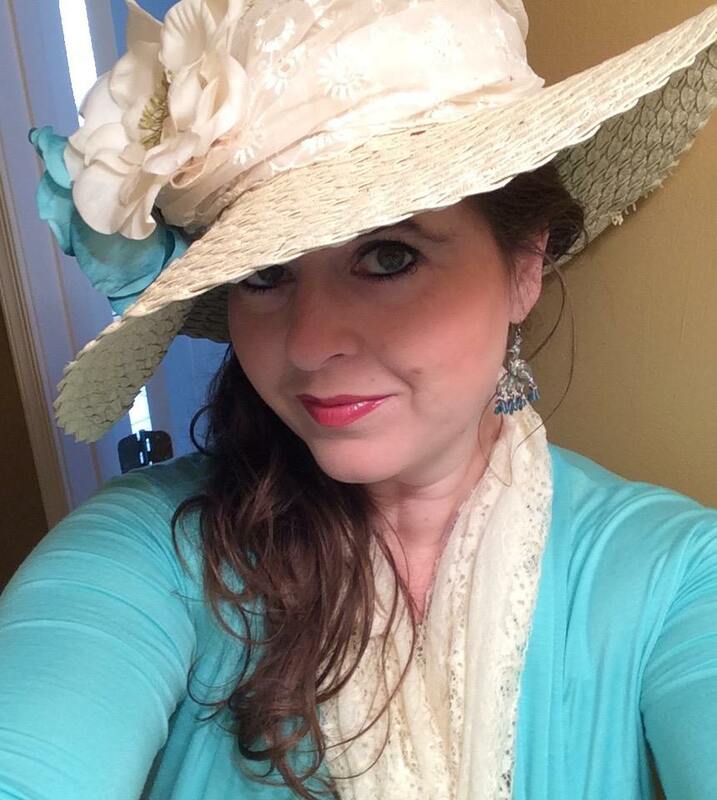 She currently resides in the lovely mountains of Asheville, NC where she works with kids who have special needs, searches for unique hats to wear, and plots new ways to annoy her wonderful friends at her writing blog, The Writer’s Alley. 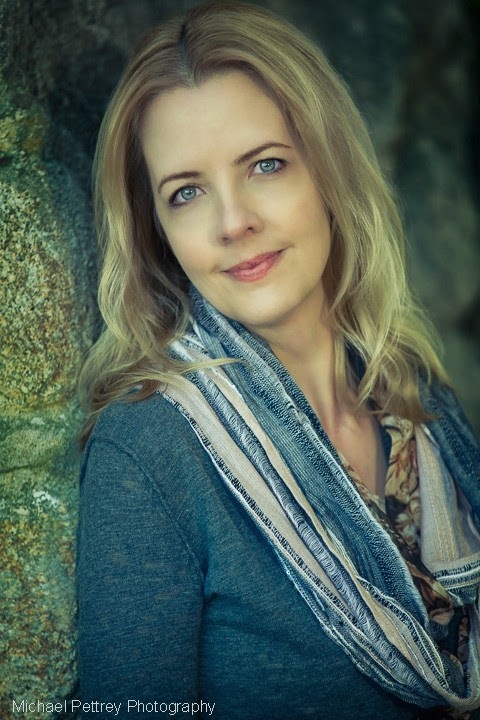 She is represented by Julie Gwinn of Seymour Literary Agency. 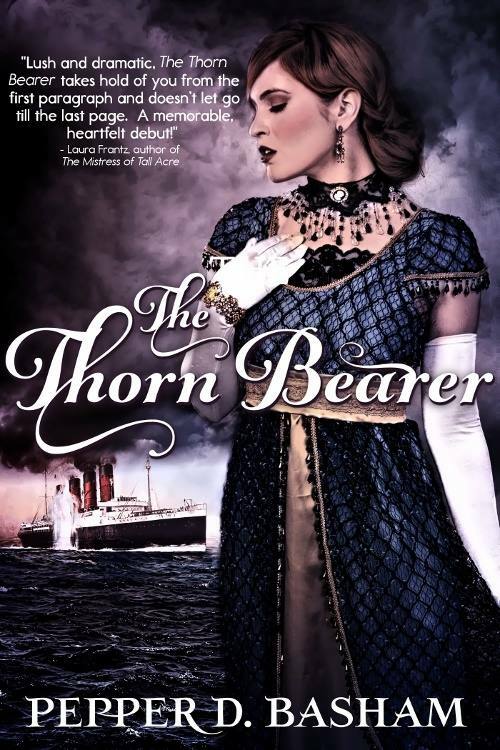 The Thorn Bearer is Pepper’s debut novel and the first book in the Penned in Time series. 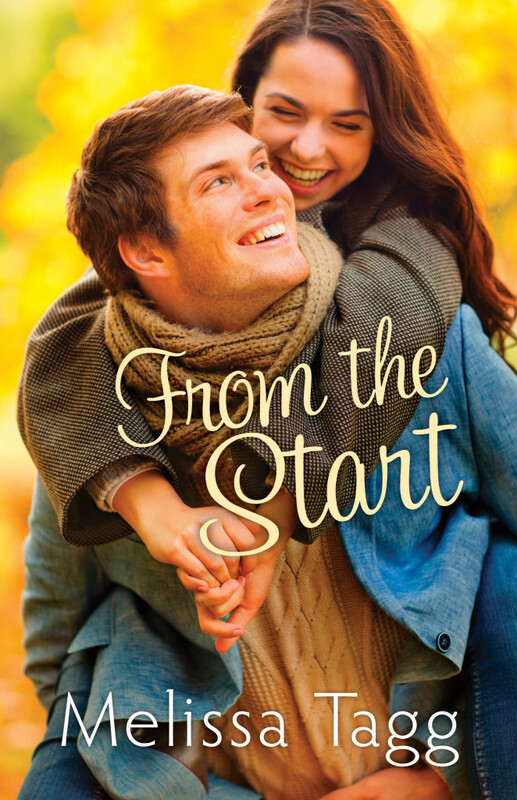 Her second novel, a contemporary romance entitled A Twist of Faith, comes out in June 2015. You can learn more about her at http://www.pepperdbasham.com. The unspeakable has happened. Well, more the unthinkable, or unimaginable – I, yours truly, have written a short story. Did you hear me? A SHORT story!!! ME!!! Definitely not my strong suit. At least I didn’t think it was. KEY in the MAILBOX: SARAFINA’S LIGHT will become the first in my upcoming KEY Series. 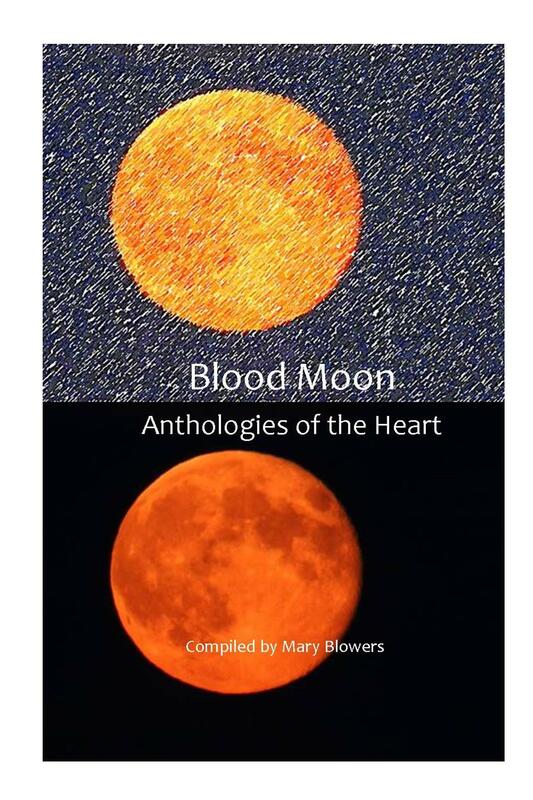 SARAFINA’S LIGHT was written, however, specifically for inclusion in Mary Blowers’ latest anthology, BLOOD MOON, just released and available on Amazon. 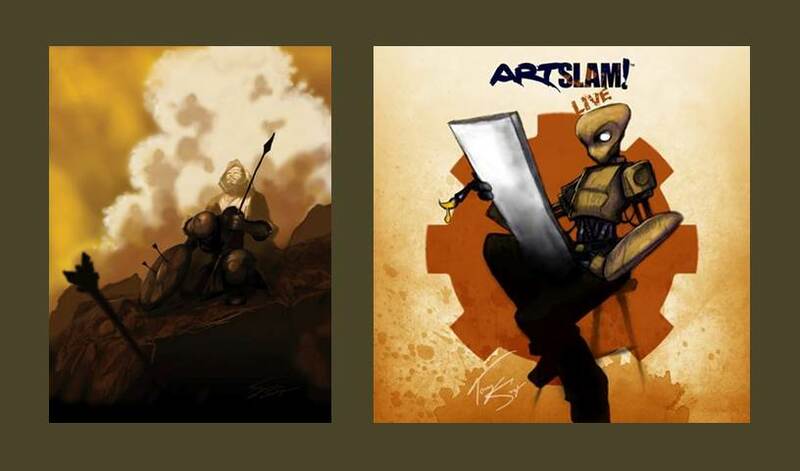 Included are pieces by Ms. Blowers, and eleven other contributors, including yours truly. Author Mary Blowers has just published an anthology of short stories from writers from around the world on 25 April 2015. 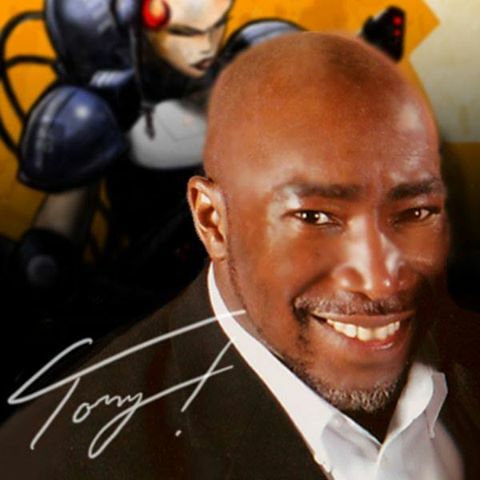 BLOOD MOON is an anthology having to do with transformations of all kinds. The title is tied to the Jewish belief that blood moons recurring in groups of four have a spiritual significance and are an omen portending great change. Available on Smashwords.com and Amazon.com, with iBooks, Kobo, Barnes and Noble, and several other online e-book retailers to follow soon, it is currently available in e-book formats and will be released in paperback from Createspace.com within two weeks. More information will be forthcoming on Blowers’ blog, http://maryblowers.com. 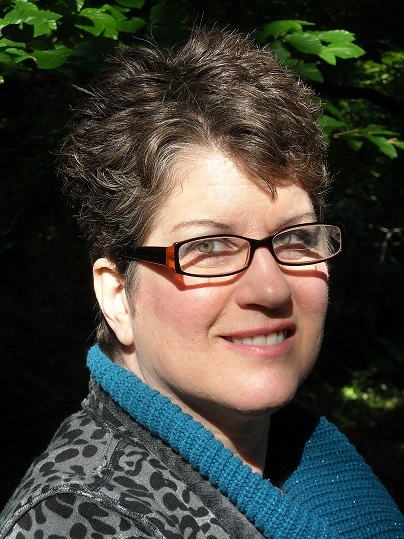 Mary Blowers, editor, is a freelance writer and independently published Christian author specializing in self-published anthologies. Contributing authors are Mary Blowers, Robin E. Mason, R. H. Ali, Tiago Mota, Dash McCallen, Jacklon Michelle Wright, Timothy Trimble, Wendy Janes, Peter Bouchier, Erik van Mechelen, Stewart Bint, and Vanessa Wright. Please give a big welcome to BROOK LYNN to my blog. Over the last few months I’ve had to make some life altering decisions. I was overcome with having to put our senior dog to sleep and handling the effects of my son deploying to Korea. I was offered a new career opportunity; a lovely planned weekend getaway went bad; and recently we determined to welcome an eight week old Lab puppy into our home. (That just names a few things). I’m not too prideful to admit I have a problem making decisions and worrying about their outcome. I can be indecisive, weary or cautious because I want to do what’s right and what God wants for me and my family. I can also be selfish because I want to suite my own schedule, needs and feelings. I’m easily frustrated and unsettled when I can’t decide what to do. Indecisiveness creates confusion and clouds my ability to feel God’s peace and direction, even during times of prayer. When the right decision isn’t clear, I feel tortured attempting a logical thought process because I’m more of a “feeler”. Therefore, weighing the pros and cons doesn’t create a clear answer to my dilemma; it adds more stress to my mind with additional possibilities of consequences to wrong choices. 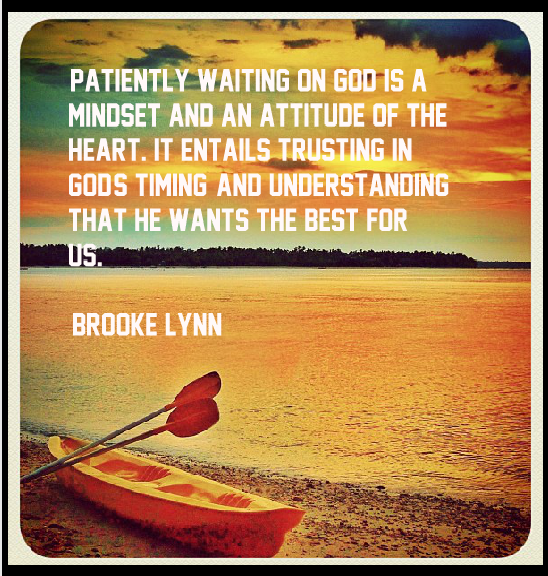 Patiently waiting on God is a mindset and an attitude of the heart. It entails trusting in God’s timing; and understanding that He wants the BEST for me. I’m joyful and gracious that my God is always watching out for me. When I surrender all to Him, He has His way in my life and that works much better than doing it alone or my own way. We never see things as God does and that’s because we measure and perceive with our own human understanding; yet God knows the ULTIMATE truth of every reality. 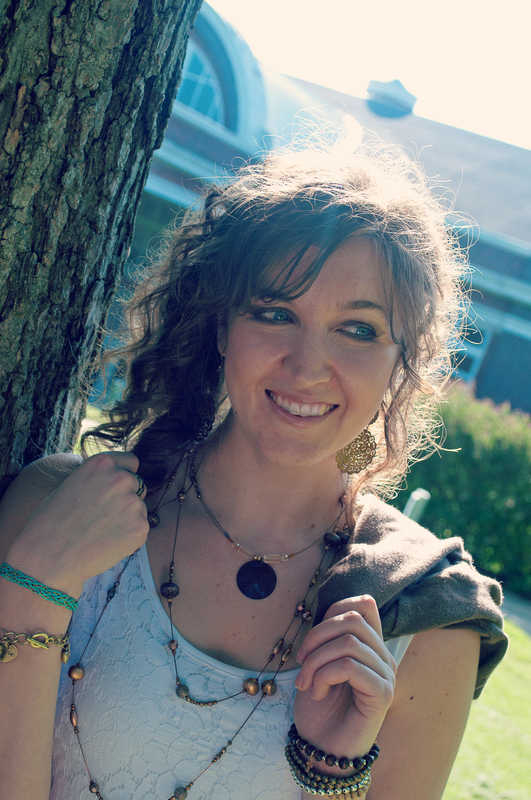 Brooke Lynn is a writer and a speaker who passionately lives — reaching others with God’s word and love. She is a survivor of abuse, sharing her past pain and recovery to encourage others with hope. 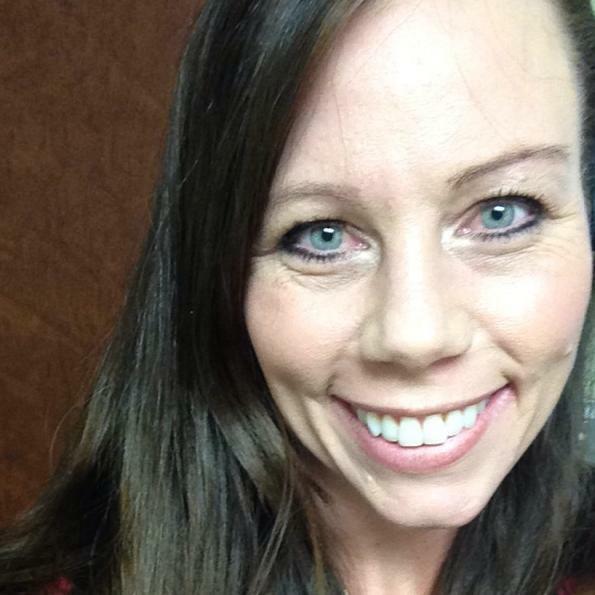 Brooke resides in the Washington D.C. area, has been married for nineteen years, has two children and loves dogs. 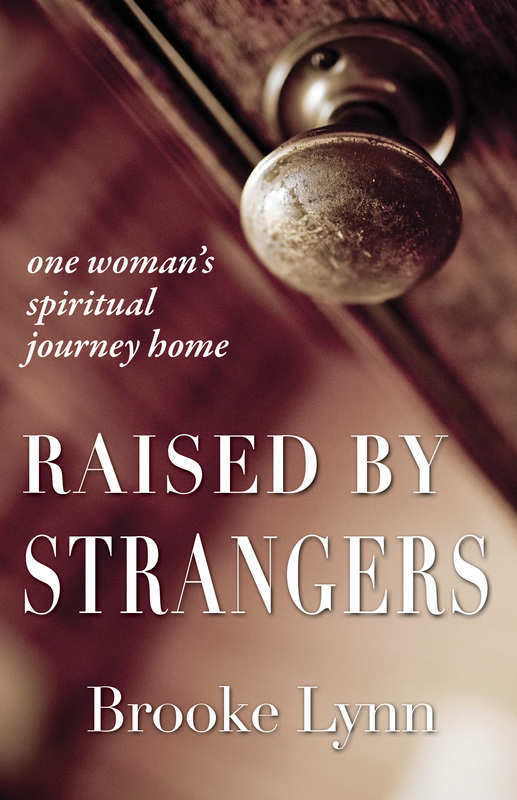 I personally invite you to read my true life story, “Raised by Strangers.” When I was just five years old, I was kidnapped and forced to live a life burdened with cruel and bizarre physical and emotional abuse. My will to survive, inspired by an invisible hope, helped me fight the demons and stay alive as I endured haunting experiences. 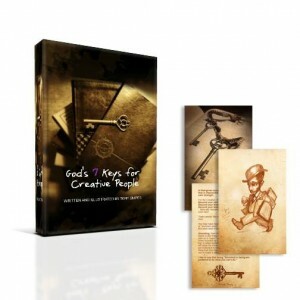 This book chronicles my true life story full of forbidden secrets driven by darkness and deception. When I was five years old, I was kidnapped, given away, and ultimately raised by strangers who tortured me. Through this gripping story, I share ways I have learned to overcome my horrendous past and rise above the ugliness of humanity with faith and forgiveness. This book is raw with reality and will help you find courage and strength for healing, how to face your fears, forgive offenses, and live a life of freedom. The Hunter Becomes The Hunted in Melanie Dickerson’s Newest Book. Major Reginald Aubrey holds an horrific secret, an act he committed in a moment of grief and despair. An act intended to save his wife from knowing the same grief. A tormented woman, Heledd Aubrey never knows of her husband’s action, pouring her love and affection on the child that is not her own. Anna, the orphaned child saved by Aubrey, bright and happy, even as Heledd holds nothing but disdain for her. She and the stolen child, William, are close, as siblings and as friends. GoodVoice, the Oneida mother who knows the dead babe she buries is not her own. And Stone Thrower, her husband, intent on taking his vengeance. Two Hawks, the son who knows of his stolen brother – and William, utterly unaware. From the first beat of this book, I could hear the Indian war cries, I could smell the sulphur of muskets. The desperation. The fear. The grief. Ms. Benton has woven a tale that deftly intertwines the lives of the Oneida family and the family of an American British officer, the native culture of the Oneidas and the British colonists. Each character is real and vibrant, their words and actions and emotions palpable and true. I felt the weight of the Major’s guilt and grief, the angst of his wife’s inner torment. I was a girl in the woods with Anna, as a child, and as she grew. And I was Oneida with Good Voice as she sought to reconcile her loss and her husband’s temper. As a skillfully woven tapestry, Ms. Benton pulled the seeming frayed threads of this story together in a powerful and profound ending, leaving this reviewer breathless – and in tears. 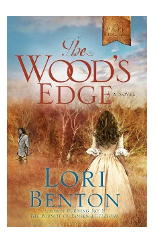 Her latest release, a Historical Fiction novel, THE WOOD’S EDGE, can be purchased at online retailers. Lori Benton was raised east of the Appalachian Mountains, surrounded by early American history going back three hundred years. Her novels transport readers to the eighteenth century, where she brings to life the Colonial and early Federal periods of American history. When she isn’t writing, reading, or researching, Lori enjoys exploring the Oregon wilderness with her husband. She is the author of Burning Sky, recipient of three Christy Awards, The Pursuit of Tamsen Littlejohn, and The Wood’s Edge. 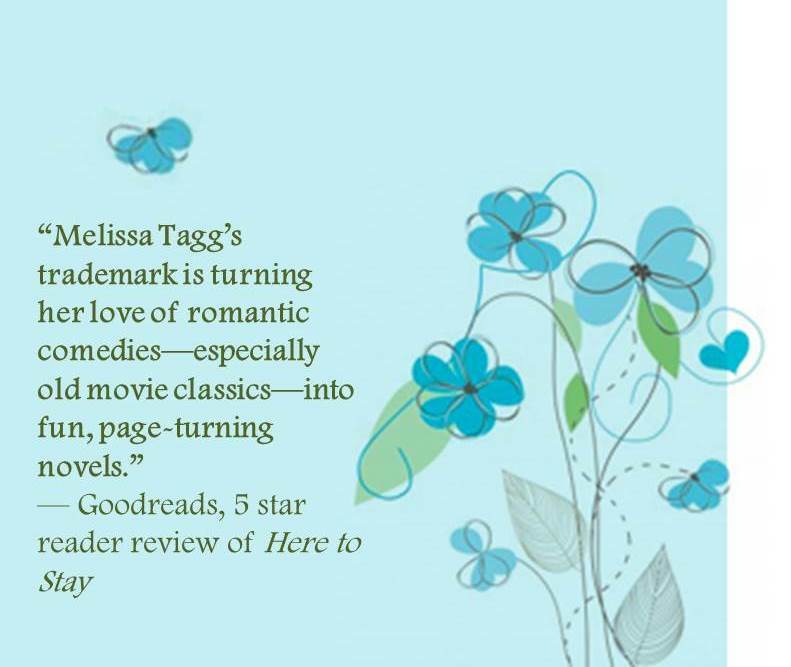 I’d like to give a big welcome to MELISSA TAGG to my blog. rem: Hullo MELISSA, Thank you for joining us today. You have just released a new book! How exciting for you! Tell us about the book, and where can we find it? Melissa, tell us three things about yourself. I love classic movies—which probably doesn’t surprise most people who’ve had at least some interaction with me. But my love goes beyond just watching them. I have a ridiculous number of books about Golden Era Hollywood actors and actresses. Seriously, it’s kind of ridiculous. I’ve never mowed a lawn. Shocker! I have a strange love for washing dishes. I find it peaceful. rem: Kindred spirits, I too, have a strange love for washing dishes – and for mowing the lawn! You mention finding our purpose and identity in Christ – and that you love talking about that. So, tell us. MELISSA: I think it’s one of the easiest things in the world to slip into finding our worth and value in what we do, defining ourselves by a whole list of standards we were never meant to. My greatest value, my purpose and my identity stem from the coolest reality: That I was created by a loving God who is bigger and more amazing than anything I can imagine. That theme has wound its way into all my books, I think, and it’s something I continue to think about and even wrestle with in my personal life. rem: I am discovering that identity in Him is everything – it defines our purpose and position in the Kingdom. MELISSA: In From the Start, both Kate and Colton have a very clear picture in their heads of what their lives should look like. And every decision they make in the first half of the book is an effort to make those pictures a reality. But they both learn, slooowly and at times not so smoothly, that God might be weaving together a completely different picture. That he uses change and circumstance, reshapes broken dreams and heals wounds—that he’s been there, at work, from the start. There’s great peace and confidence in that truth…and, too, excitement. Because when the future or our dream feels blurry to us, it’s pretty great to realize God sees the whole thing in crisp, clear color. rem: Isn’t that so true, though? Don’t we all have our own “clear picture” of what we think it should look like? And, oh! when that peace and confidence break through, there’s no greater excitement! Do you have a favorite book or work that you’ve written and why? MELISSA: Oh, that’s so hard! Every book is special and means something different to me, actually. And my favorite probably changes depending on what mood I’m in. But right at the moment, just coming off finishing my fourth book, it feels like my favorite…for now. I got to delve into some of my favorite things as I wrote it—small-town reporting, chasing a story, and hint of mystery connected to Charles Lindbergh! I had crazy amounts of fun writing that story! I just love it. It’s a reminder to never put someone in a box, decide he or she can’t change. It’s a reminder to never give up. rem: I like that a lot, and it’s so true. There’s so much we just don’t know about a person. MELISSA: Well, I love friends who will put up with my quirks. LOL! But one of the things I value most in a friend—and this might be because SO many of my best friends are long-distance—is the ability to get together after months of not seeing each other and feel like no time has passed at all. MELISSA: Dogs! Honestly, cats kind of creep me out. Haha! MELISSA: Ummm…this is a hard one because depending on the day and season and my schedule and whether I’m under a tight deadline, it varies. But when I sit down to write, I do almost always have either pop or coffee (or both) and water…baby carrots or grapes…comfy pants. And I usually spend the first 10-15 minutes thinking out the scene in my head: my character, the storyworld, the character’s goal in the scene, the obstacles, emotional layering, symbolism/metaphor, how it relates to the main story problem and how it’s going to lead into the next scene. Join a writing community—and not just a community of writers, but a community of people committed to learning and growing in the craft of writing. For me, that’s been My Book Therapy (hands-down the best thing I ever did for my writing!) and ACFW. WRITE—don’t just talk about writing. Blog—I know a lot of people say blogging is dead or they don’t want to take time away from their stories. But truly, nothing helped me find and develop my voice more than blogging. I know it’s not for everyone, though. For those who don’t like it, maybe try journaling…might have the same effect! Embrace rewrites—whoever said writing is rewriting totally nailed it. There’s something exciting and adventurous about writing that draft. But for me, the real magic happens during revisions. It’s when you get to take something messy and turn it into something brilliant! rem: Messy into brilliant – love it! MELISSA: I’ve always wanted to be a writer, but it wasn’t until 2009 that I really got serious about not just writing a novel, but learning the craft and pursuing publication. I mentioned above that the best thing I’ve ever done for my writing is join My Book Therapy…and it’s true. Susan May Warren and Rachel Hauck are masters at the craft of storytelling. I can’t recommend their teaching highly enough. I attended several MBT retreats that year and then went to my first major writing conference in 2010. I won a contest that year, too, which was pretty fun. I spent the next couple years working on my book and growing in the craft and then in 2012, that’s sorta when the doors starting flying open. An editor from Bethany House connected with me online, I signed with my agent (the amazingly awesome Amanda Luedeke of MacGregor Literary), my first book went to the pub board at Bethany and by the end of summer 2012, I had my first contract. It was a total whirlwind and there is exactly zero doubt in my mind it was the result of God opening the right doors at the right time! rem: I sure am enjoying the journey, and the learning – of course, I now have to check out My Book Therapy!! MELISSA: I loooove telling stories. I really do. I love how characters form in my head and by the end of the drafting process, feel so incredibly real to me. I’ve now written two full novels and a novella set in Maple Valley, Iowa, and I can’t tell you how REAL it all feels. I actually went into a bit of withdrawal when I turned my most recent book in! But I also love the other side of it all…when the book is out there in the world, getting to hear from readers. That’s just an amazing and impacting thing…much more impacting than I realized it would be! There are so many times I’ve teared up reading emails from readers. I hope readers never underestimate the power they have to encourage their favorite authors! MELISSA: For me, it’s balancing writing with the rest of my life. I have a full-time day job and my family and friends are pretty spread out at this point. So just keeping it all together feels like a LOT sometimes! rem: Now that From the Start, is released into the big wide world, what is your current project? MELISSA: My current project is the second in the Walker Family series—Like Never Before. It’s the story of Logan Walker, a former reporter-turned-speechwriter, and Amelia Bentley, the editor of the small Maple Valley newspaper. I had soooo much fun drafting this book. I just turned it in to my editor last month and I’ve already received my rewrite notes. So I’m excited to dig back in and pretty-up this story. rem: Melissa, congratulations again on your release, and thank you so much for being here today!